The gold price continues to respond strongly to the global Zero Interest Rate Policies (ZIRP) and "Quantative Easing" aka "Money Printing" that is increasingly setting the scene for the current price deflation as a consequence of the credit bubble bursting and asset price collapse of 2008 to give way to much higher inflation, Gold as a leading indicator of future inflation has again recently crossed back above $1000. Which according to my forecast for 2009 is now due to trigger an imminent significant correction and potential opportunity to accumulate. The Russian and Chinese governments together with private investors are all buying gold bullion in strength that has seen demand for gold leap by over 300% following the banking crisis of 2008 that saw the whole financial system teetering on the brink of financial armageddon as the failure of monetary policy and fear of banks going bankrupt coupled with collapsing fiat currencies imply the risks of igniting hyper-inflation. Owning physical gold is fast becoming the favoured way to secure wealth against the rising tide of fiscal irresponsibility as governments continue to adopt ever more reckless policies to alleviate economic contraction at the cost of sacrificing the purchasing value of their respective fiat currencies as evident by the soaring money supplies that range upto 20% per annum. Against this gold's concentrated store of value and limited supply provide for an alternative to the unlimited supply of fiat currencies in the hands of the increasingly incompetent managers of the levers of economic power. BullionVault.com is a revolutionary online market for private investors to buy gold, and later sell, directly within international high-security vaults. Customers trade gold with each other, or BullionVault.com, at the best price in a multi-currency real-time market. The service launched in May 2005 and is proving immensely popular. All bullion is held in the Brinks vault of choice in London, Zurich or New York. All accounts are openly audited daily. BullionVault is owned by Galmarley Limited , which is company number 4943684 registered in Great Britain. You can see a list of shareholders at Companies House on http://www.companieshouse.gov.uk,. The services are delivered by their own computer system hosted in separate locations in Britain and USA, which we connect to and manage from their London offices. Galmarley is involved exclusively in gold and gold related information technology. 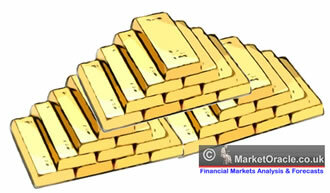 * Daily audit proves gold ownership down to the gram using anonymous client aliases. * Robot traders provide automated 24/7 dealing. * Extensive use of open source components in the system development. Here we explain the basics of the BullionVault user interface. If you want to understand how the business gives you better gold prices you should also check out their FAQ's and Brochure, both available from their home page. There are navigation links to the most commonly visited site areas. Press the menu bar buttons to go to other BullionVault screens. Before looking at the different order boards it's worth getting the hang of the order details panel. You'll see how easy it is. You'll need to be logged in to see the order details panel on the right side of your screen. Clicks in many different places on screens cause order details to be automatically filled out with sensible guesses at what you want to do. This makes it very easy to fill out your orders, and often all you have to do is look carefully at the order we generate from your click, and confirm. Your order details are offered for your confirmation. Only when you confirm does your order get passed to the market for validation, matching and/or posting on the order board. Don't rush off just yet! When you confirm an order one of three things could happen. Some or all of your order can't be executed, and what's left is posted as a limit on our order board [shown here]. You need to read the response to see which one of these occurred. If you are not sure what has happened go and check your open orders on the orders menu. The wizard offers a different route to filling out your order. It lets you fix one variable in an order, and works out suggestions for the others. For example, you could set the wizard to 'fix my order value' setting it at $1,000. The wizard checks the market and sees how much you should bid for, and what price you should offer. Press the 'Suggest' button and the optimal results are displayed - if possible. If you like the suggestion you press 'Proceed' and the wizard drops you into the buy/sell panel, ready to trade and confirm. There are three main order board screens all accessed from the MARKETS menu, and they do the same job in different ways. You can choose your favourite, or use each of them in different circumstances. Each board summarises the orders which other users have entered, but which have not yet executed, and which are therefore being advertised. When you're logged in they all have the order details panel on the right hand side. Broadly what happens is when you click something on the order board (left side of screen) the system has a guess at what you mean to do and fills out the order details (right side). You get a one or two click order entry, which allows you to grab an opportunity as soon as it's displayed, usually without having to carefully type lots of stuff in. When you submit an order they explain to you what your order details will achieve. You have to confirm this for us to proceed and process your order. BullionVault.com is currently giving a FREE gram of Swiss vaulted gold bullion to everyone who registers (worth $25)- to try the service and learn how to trade. Sign-up is easy, fast and credits you immediately.